Since 2015 Portugal has more strictly enforced a long-standing law requiring anyone providing paid holiday accommodation to record the entry, exit, and identification details of all non-Portuguese nationals who use that accommodation. This law has been brought into force in Portugal and most other EU countries at some point since the gradual implementation of the 1990 Schengen Agreement that aims to stop human trafficking and other illegal practices. In this case, it is specifically Article 45 of the Schengen Agreement and the recent Alojamento Local law in Portugal that has brought this rule into sharper focus. When staying in a hotel guests are used to show their IDs at checkin. Short term rentals are also required to report guest's information to SEF - it is called the Accommodation Bulletin. 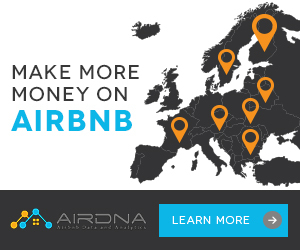 When you make a reservation in a registered Local Lodging establishment (an apartment you booked on airbnb, booking or other similar website) your host is required to report your presence and details to the Portuguese Immigration and Borders Service (SEF) within 3 week days of your arrival. 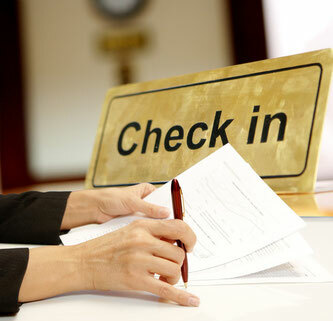 Most hosts prefer to collect this information shortly after you booked, along with check-in time and other details, but your documentation must also be verified at check-in. For each accommodation bulletin that fails to be submitted according to the terms of n°s 1 or 2 of Article 98 or for each foreign national not registered on the list or electronically as laid down in the stipulation in n°s 3 and 4 of the same article a fine of €100 to € 500 is applied. If the Short Term Rental where you are staying does not require this information, it means it is not abiding to the law and most likely won't be able to support you in unexpected situations. Who must submit identity documents? Each non-Portuguese person, regardless of age (and including children) shall present identity documents. What happens if someone refuses to provide ID? A person renting accommodation or member of a group doing so who refuses to confirm identify should not be accepted. In addition to security issues, customer registration in the hotel is still required for tax and statistical control (INE and Turismo de Portugal IP) purposes. Not collecting the required information can lead to the establishment being subject to the imposition of heavy penalties (imprisonment and fines). What penalties are involved for non compliance with this regulation? Any person who encourages or facilitates non-compliance in any way is subject to punishment with imprisonment from 1 to 4 years. If any crimes are committed by those foreign citizens causing inhumane and degrading conditions, endangering life, causing serious harm to body or death, the establishment owner shall be punished with imprisonment of 2-8 years. Financial penalties: For failure to register foreign nationals within 3 days through SIBA or through local authorities (where SIBA is not available - restrictions apply), a minimum fine of €100.00 to €2,000,00 may be incurred depending on the number of offenses committed. Fines may be increased under the conditions of Fundamental Law on Offences (Decree-Law No. 433/82 of 27 October). Any further criminal or administrative offences may incur additional penalties (including forfeiture of assets and other limitations). What about those who own private homes and commercially provide rental of rooms to foreigners? Any rental of bedrooms, large portions of a house, an entire house, a villa, a tent, caravan, boat or any other form of accommodation to a foreigner requires registration of that guest through SIBA. This is mandatory. Can a lodging establishment hold the identity documents for any reason? No. Only the police and judicial authorities have the power to withhold or retain these documents and only for the period of time necessary for their processing. Does free accommodation in the homes of friends or relatives also have to be reported? No accommodation reporting is required when under the following circumstance: foreign nationals who are staying in a friend's house (Portuguese or foreign) by invitation, for holidays, living, tourism, etc.